Maggie L Walker Governor’s School will join 132 other school divisions throughout the state to celebrate School Board Appreciation Month in February. Almost 850 elected and appointed school board members throughout Virginia will be recognized by schools and communities for their service and dedication to public education. 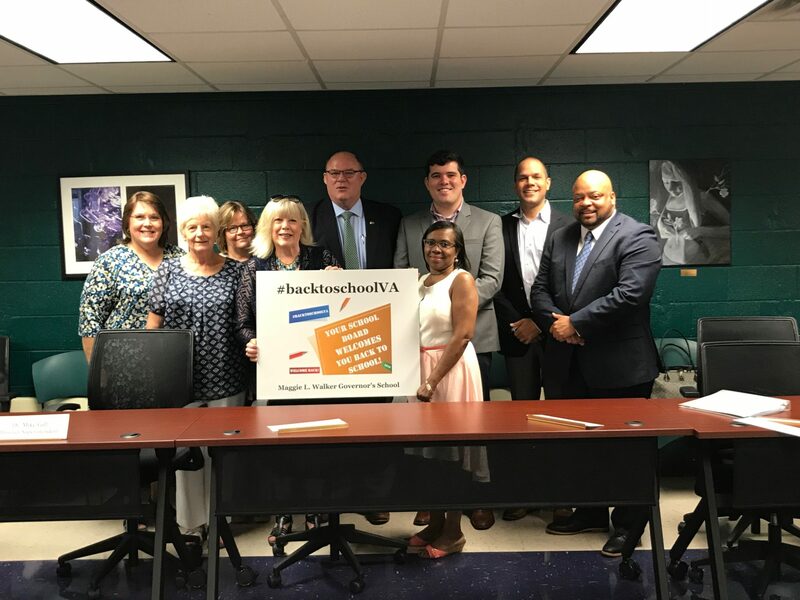 The theme of this year’s celebration, “Advancing Opportunities for All,” reflects the top priority of local school board members as they advocate for public education with local, state, and federal leaders on behalf of all students. 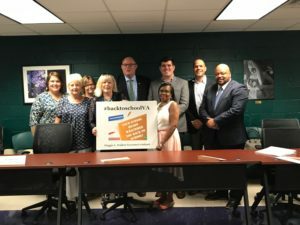 In Maggie L. Walker Governor’s School, regional school board members must develop policies and make tough decisions on complex educational and social issues impacting the entire community. They bear responsibility for an annual budget of $8,346,446 million, 754 students, more than 120 employees, and the MLWGS building and grounds. Please take a moment and thank your local school board member. Their efforts behind the scenes make MLWGS outstanding. Contact your RSB member here.